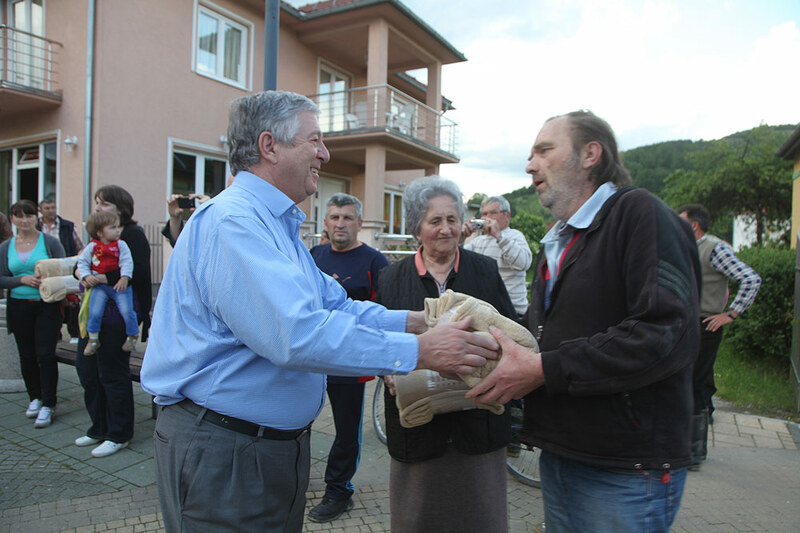 Their Royal Highnesses Crown Prince Alexander II and Crown Princess Katherine went to Sabac today to deliver humanitarian aid for people of this city. They were welcomed by His Grace Bishop Lavrentije of Sabac who informed them about situation in Sabac and Macva region. 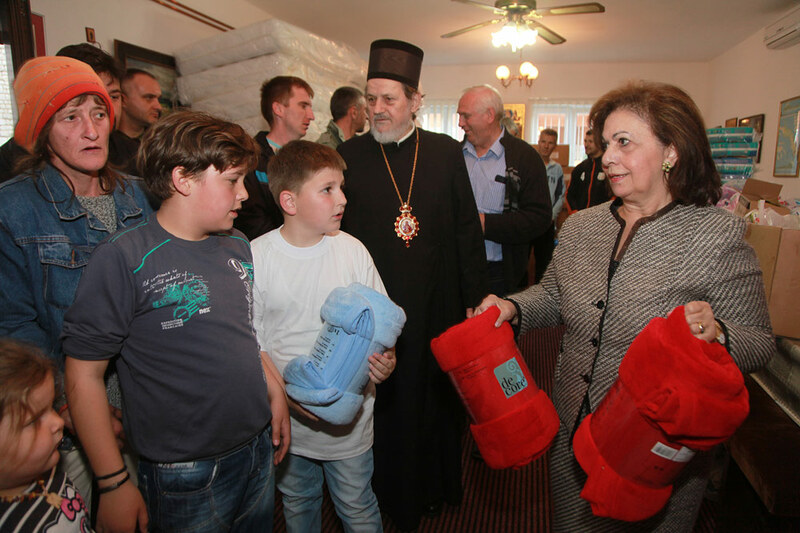 They went together to the headquarters of the Emergency Committee and delivered humanitarian aid. 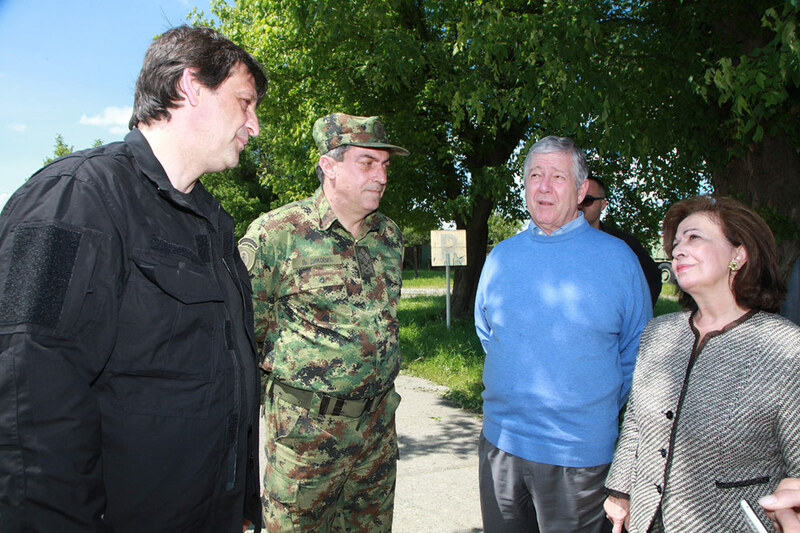 Their Royal Highnesses met with HR Mr Bratislav Gasic, Minister of Defence and Lt. Col General Ljubisa Dikovic, Chief of Staff of the Army of Serbia and chief of Emergency Committee in Sabac. 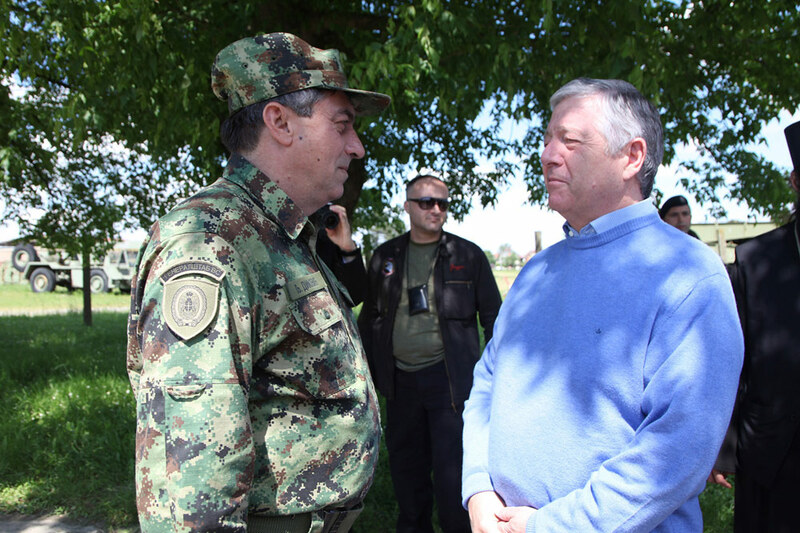 They have visited embankment at Sava River and spoke to citizens of Sabac and volunteers from all over Serbia who came here to defend this city and to defend Serbia from disaster. Crown Prince emphasized that we stand united and send a message to the whole world that we can do even the impossible things, if we unite and work and fight together. 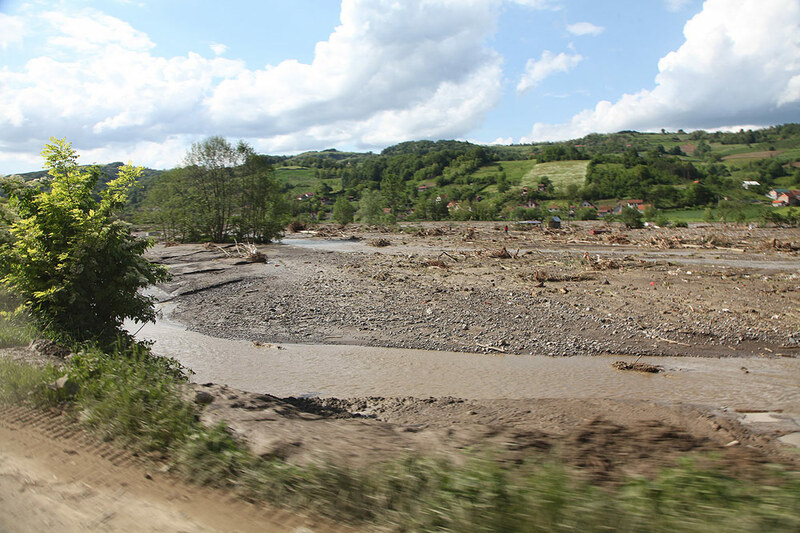 He added that he and his family will continue to do anything they could to help citizens of Serbia to overcome consequences of this tragic catastrophe. 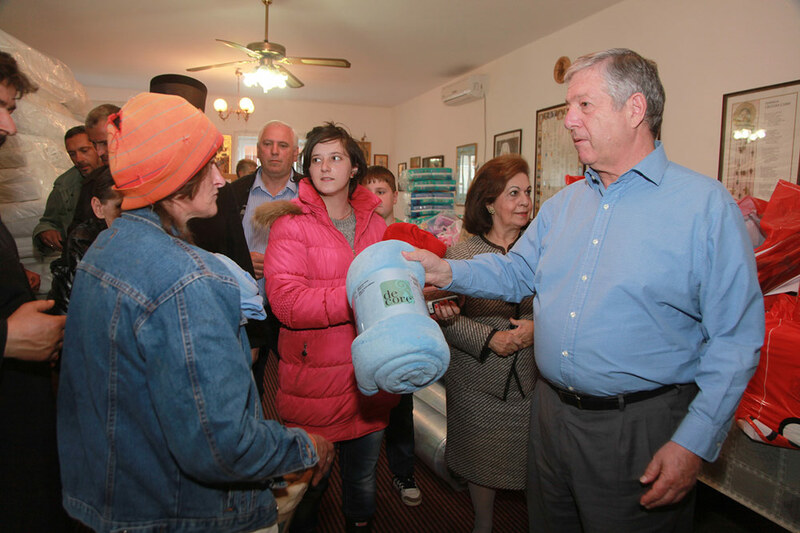 Their Royal Highnesses Crown Prince Alexander II and Crown Princess Katherine brought 40 mattresses, 200 blankets, hygienic items, baby milk, diapers and many more items for the families in this city. This aid was collected thanks to Lifeline humanitarian organization offices that work under auspices of HRH Crown Princess Katherine. 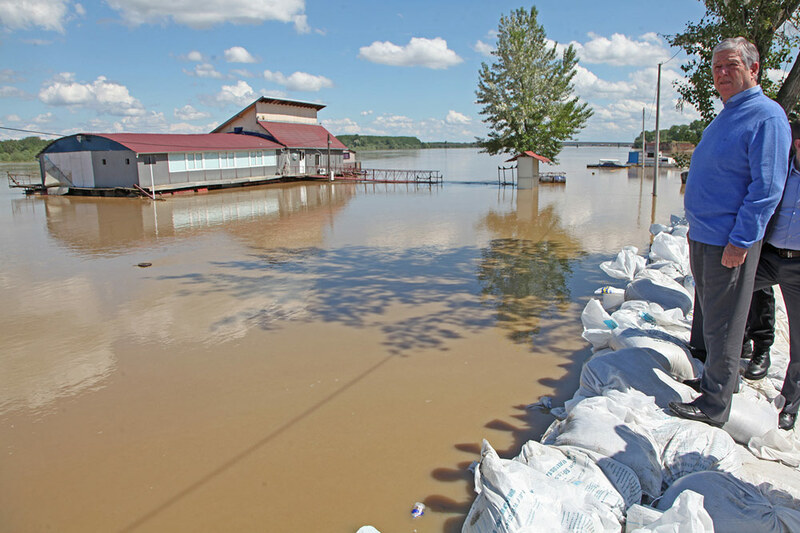 Their Royal Highnesses Crown Prince Alexander II and Crown Princess Katherine then continued to Krupanj, one of mostl severelly hit towns by floods in Serbia, and delivered humanitarian aid. They have met with several dozens of citizens.